Am having trouble getting the XPS to recognize this adapter and the SSD drive attached. I planed the MyDigitalSSD drive in the M.2 slot, and successfully installed OS and made it a boot drive (off the M.2 slot). Now, I would really like to make use of the PCIe adapter. Any help and pointers would be appreciated. 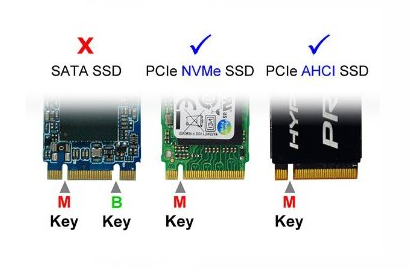 The my digital SSD is B keyed and therefore NOT PCI-E. Its SATA. M2 is not M2 is not M2. Only M2 PCI-E keyed units work with PCI-E. 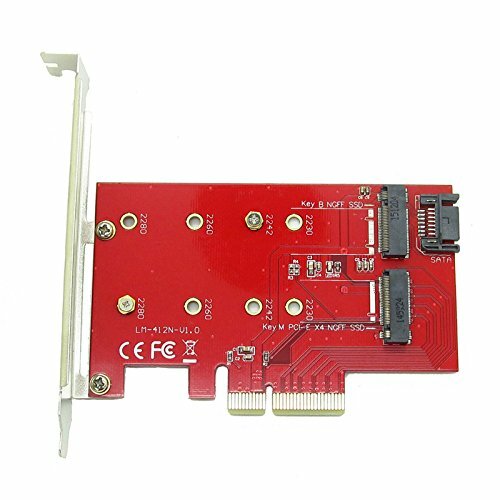 The way universal cards handle this is to have a SATA connector for the B keyed devices. This adapter has both Your adapter is only for Mkeyed and will NEVER EVER work with the SSD you chose. I did the same thing you did not knowing about the Mkeyed vs Bkeyed. What I did was to adapt the adapter to sata to adapt the adaptor. I converted my Bkeyed Sata back to 2.5 inch sata. Then put the sata drive on a different PCI-E controller. Onboard sata was 250meg data. PCI-E X4 Sata is 500meg data thruput.